On the top of everything - there is a customary approach mostly with an Indian mindset that we all should consider the client as GOD. In my opinion, most of us do not realize the real crux of setting the client expectations outright when the association is about to come into an existence. Marry in haste, repent at leisure ….. JJJ--LLLLLL….??? I am sure many of us must have experienced this on some or the other crosses of their professional lifepath. We all do accept and commit a lot to the client anticipating to fulfil all above challenges and make short-lived easier path while providing a temporary cushion to the client expectations. Instead, we all as a team must think through a lot of expenses to make better commitments and a real healthy LONG TERM association with your client. This will ease your approach in dealing their expectations. At the same time, do not focus more on their lacunas while you are in discussions with them. Plan a subtle approach to indicate their existing loopholes and share your views about how you and your team is going to help them bridge it. Of course, you must make your client realise that it will need his/her ardent support, guidance and a supervision to get it materialised. Client senses this as a good gesture when you attempt to provide service improvisation for him which is not going to happen without their help and consent. 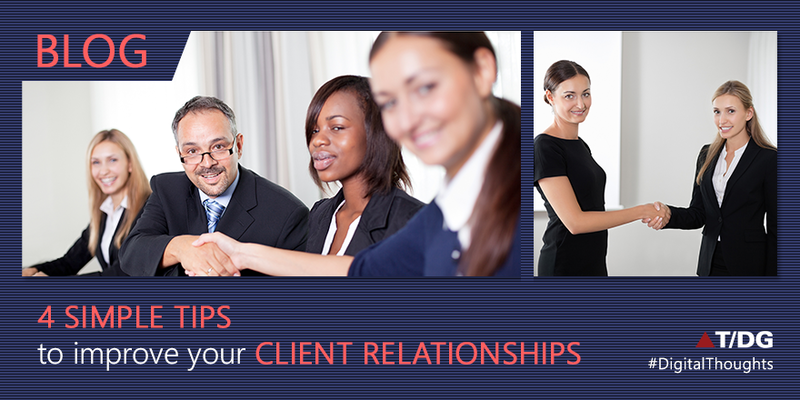 Be mindful when you plan to suggest or advice a new approach to your client teams. At times, because you chose a wrong time to share your views to the client - we make a big blunder and become a reason for not being a good team player to assist the client needs and expectations. Especially when you are in to newer engagement, just try to avoid doing extra. Many clients do not like to see their legacy set up getting revamped if it’s not handled wisely. Be careful in suggesting, advising and helping your clients to meet their expected goals in line to what they expect and not just what you expect. Know that you have not reached to that acceptance level with the client that you’re dealing with. You need to be smart enough to not do extra and just do it when the right mindset in the client team has been stamped. With a significant time that you spend with your client teams, and when they realise your value and help that you bring in for them - It’s time for you to make appropriate moves in helping your client to be even better service providers to their end users. This is the phase when you don’t need to worry about how many billable slots that you are going to make for your organization but it’s time that your client will seek for a lot more contribution from you and your organization. I am sure if we all do try to inculcate above steps during our client engagement and without confining to just these notes learn any additional good client handling skills, we will not need to repent on the later stages of the engagements. Instead, you and your organization will reap a great sense of achievement. You are going to make it happen by just considering your client as a human being and not GOD, trust me. Good tips on new client engagements. Well explained. Keep writing.